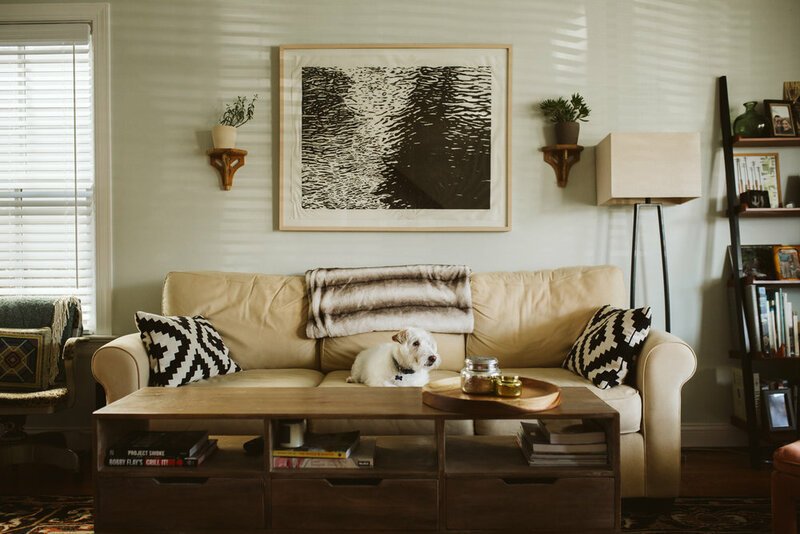 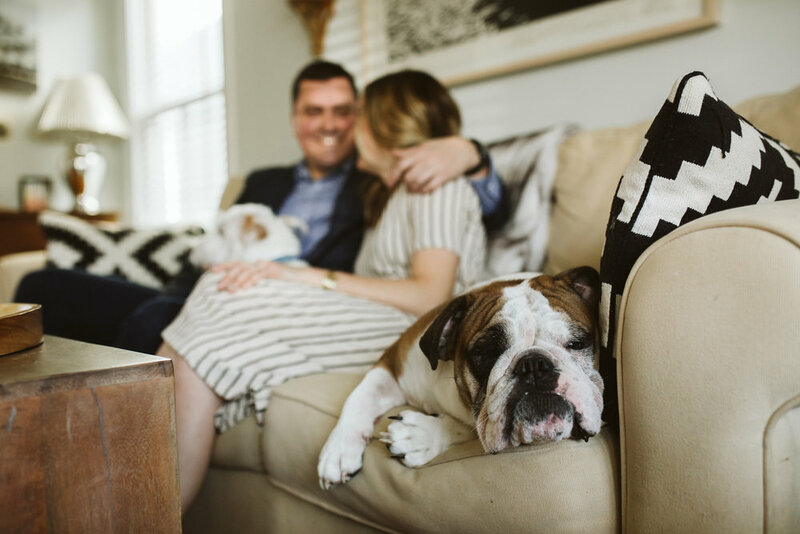 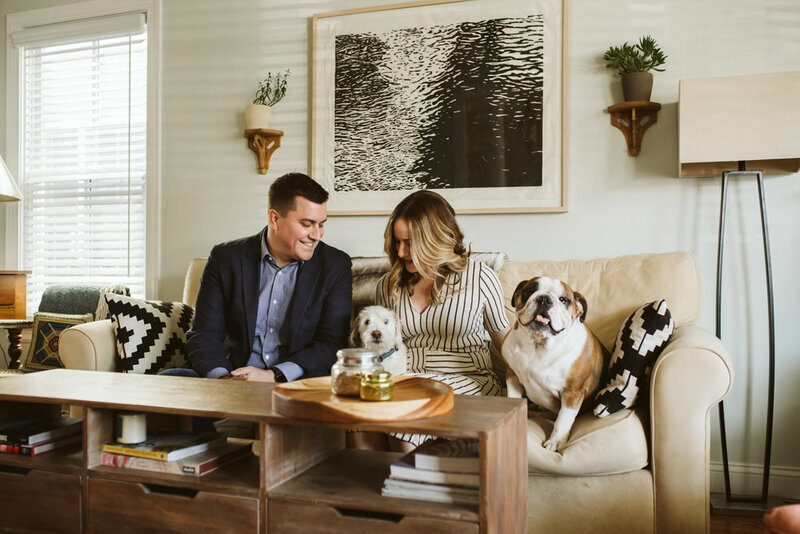 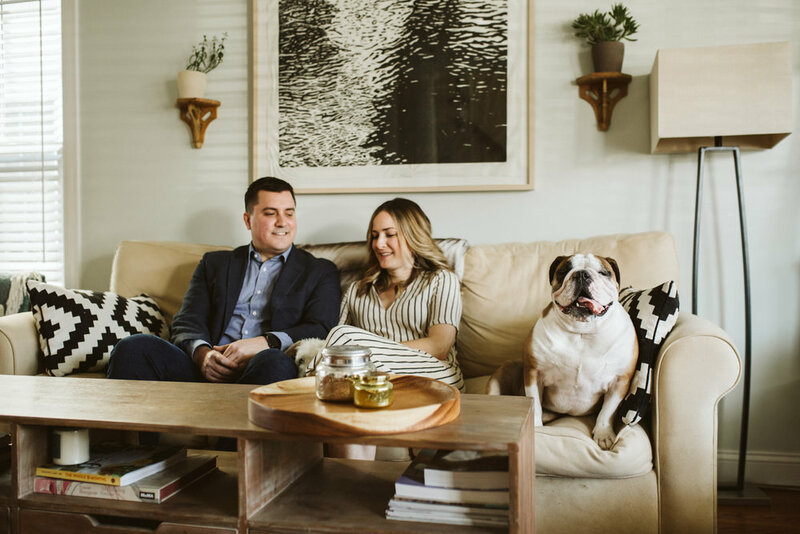 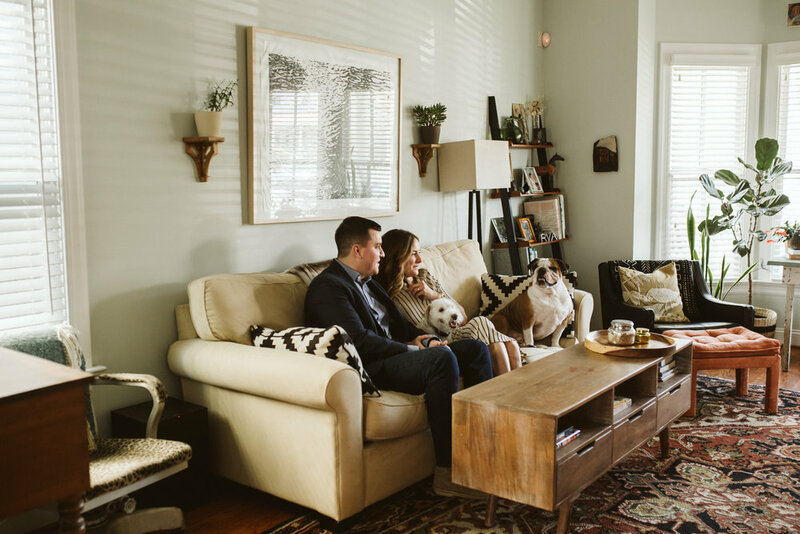 Just a few weeks ago, I got to spend the afternoon hanging out with and photographing Hunter and Kristin with their two entertaining pups - Quincy and Hank, in their cozy, stylish Richmond home. 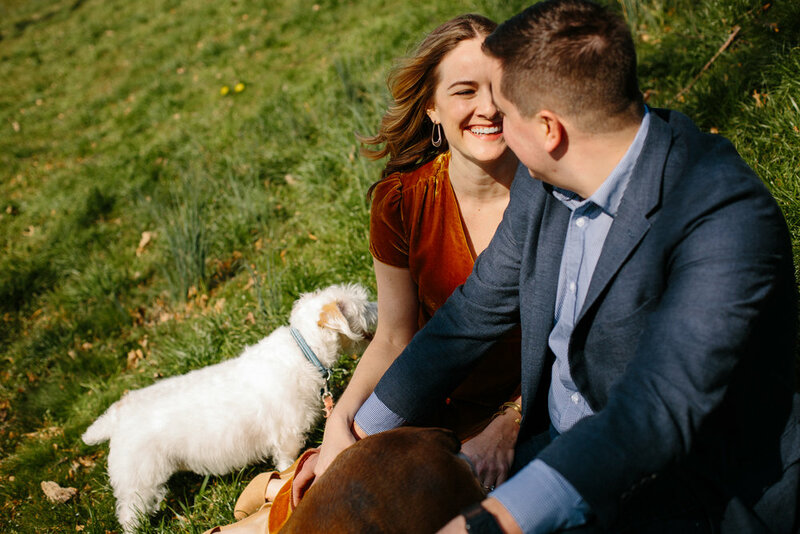 After weeks of rainy, cold weather, we got so lucky with a warm, sunny day for their engagement session. 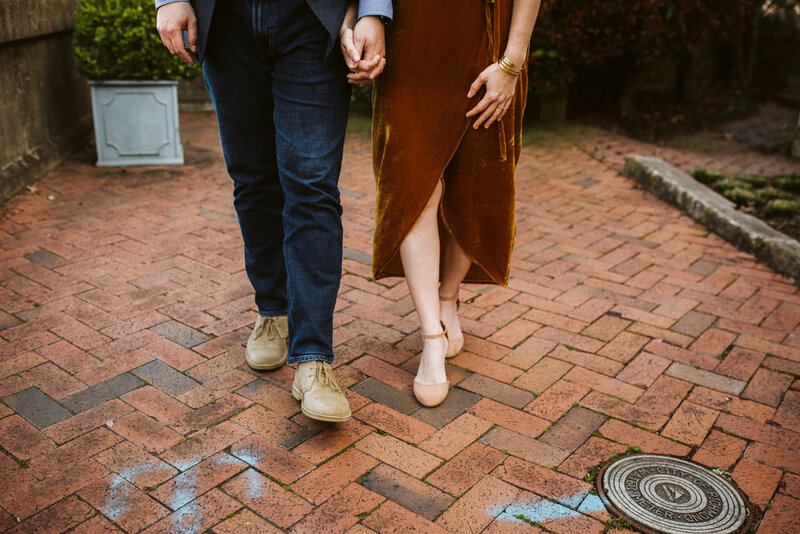 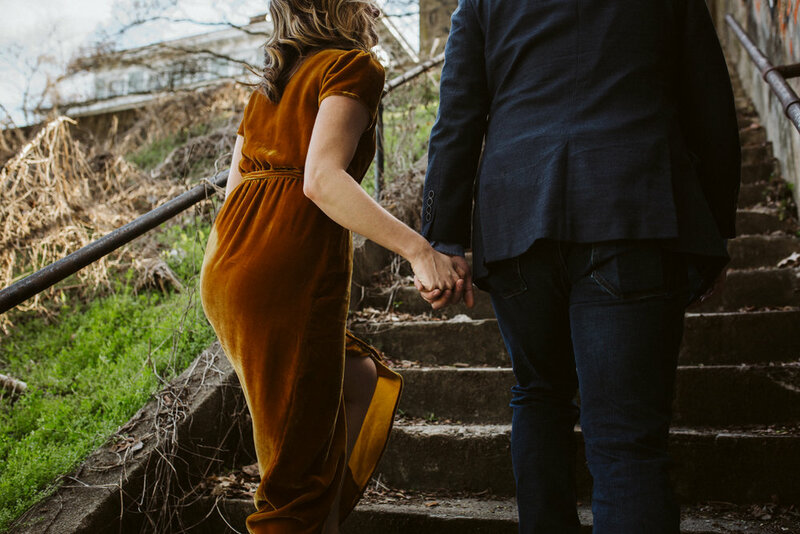 The weather was too great to have the whole session indoors so we took off to Libby Hill park and Kristin rocked this amazing rust colored velvet wrap dress. 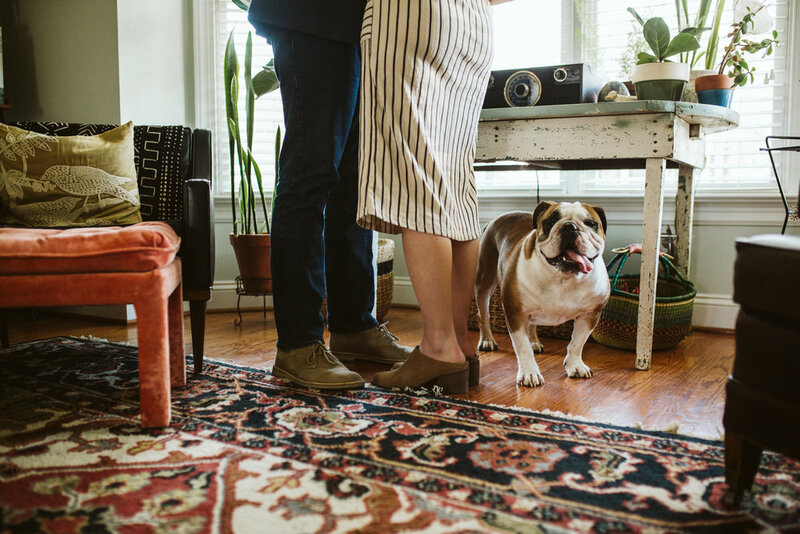 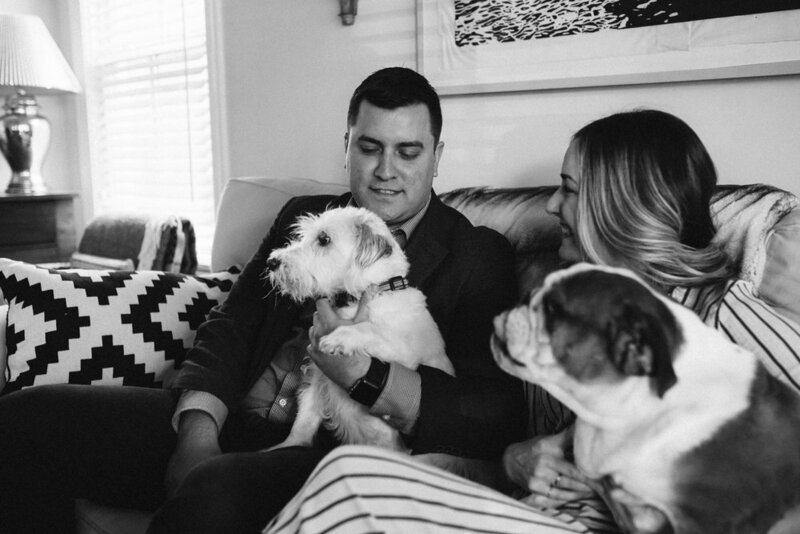 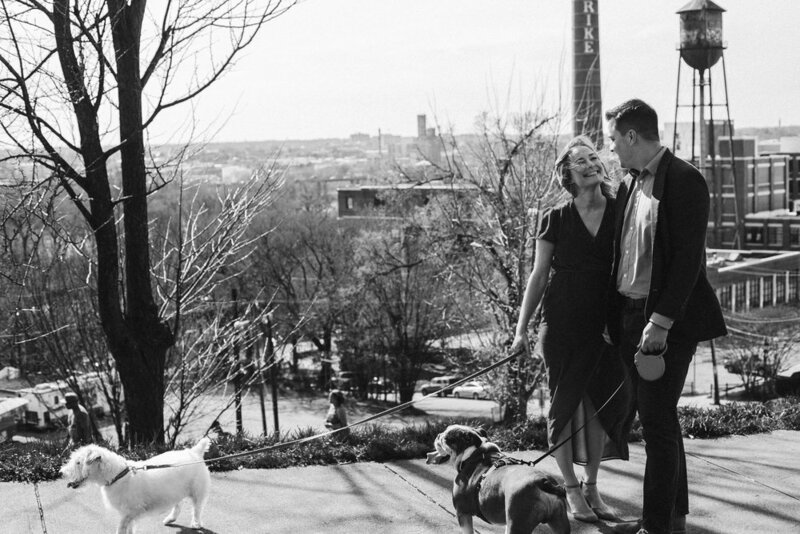 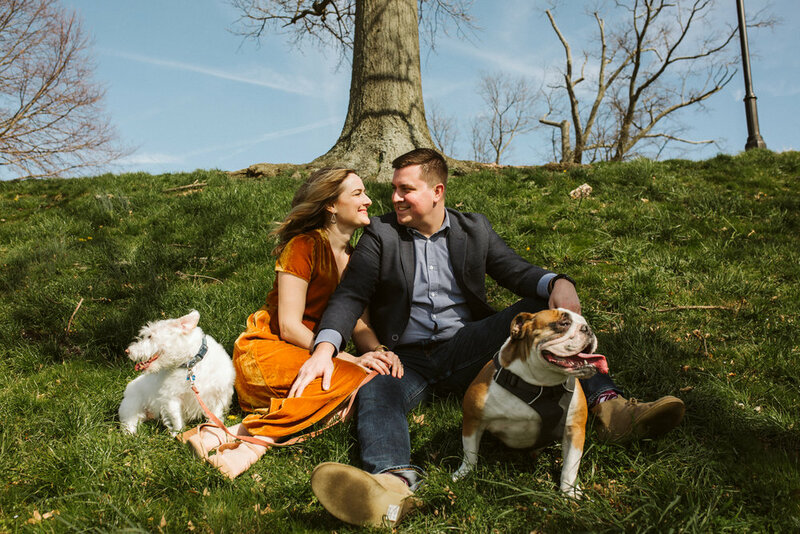 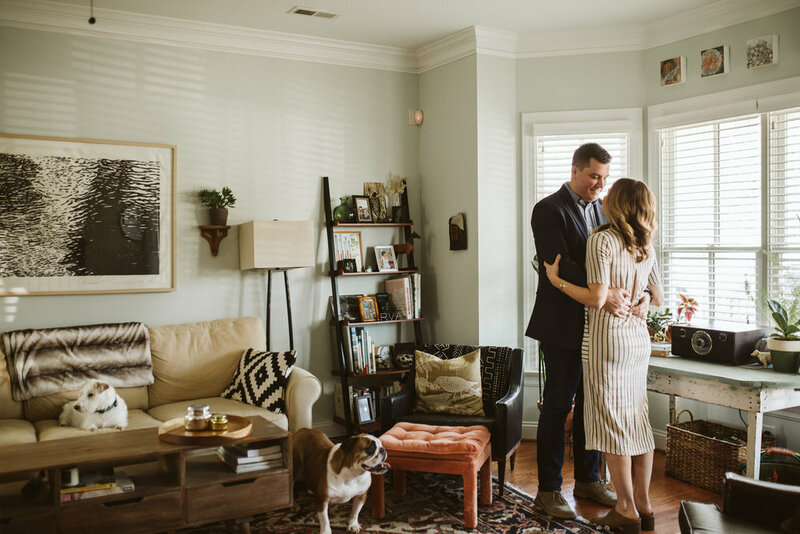 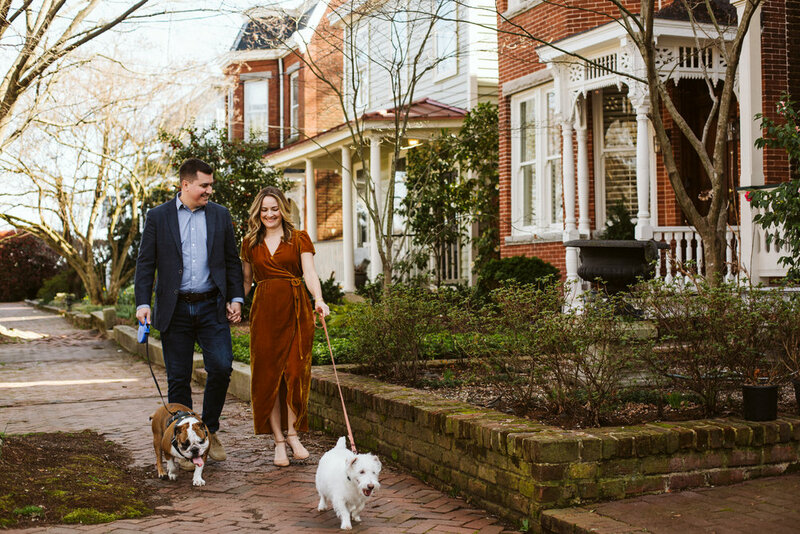 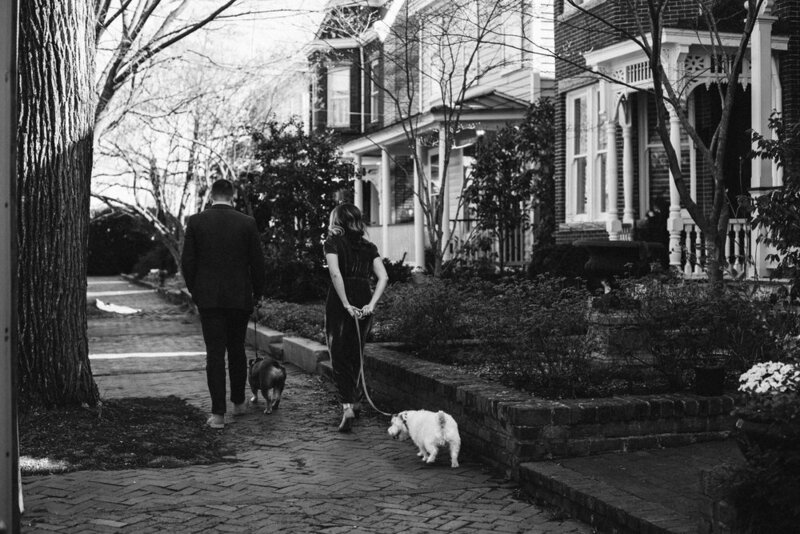 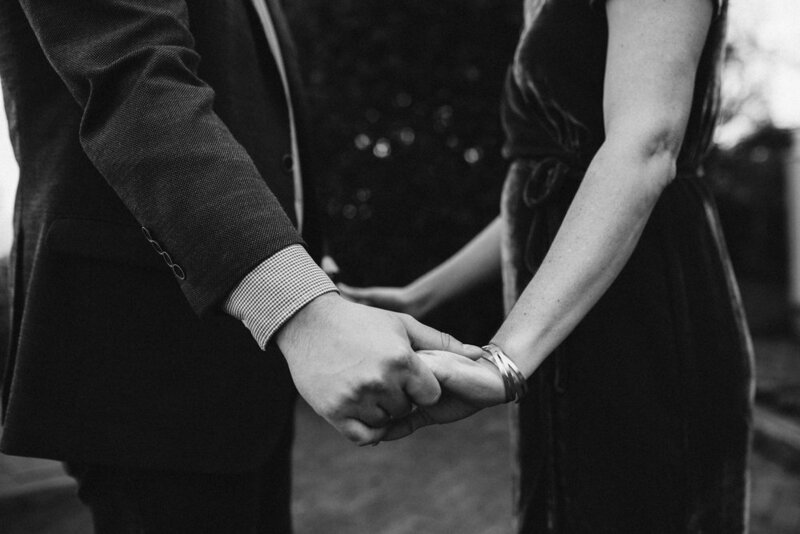 Keep scrolling to see more of this gorgeous couple, their sweet pups and just how beautiful Richmond is. 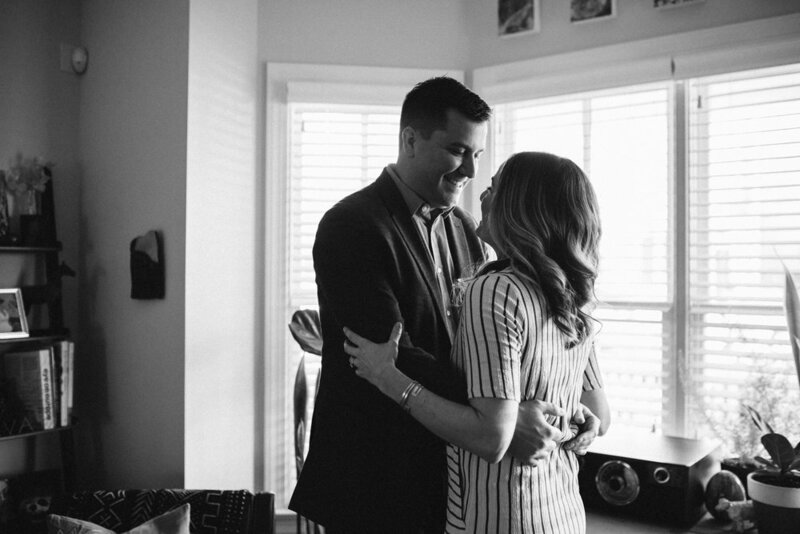 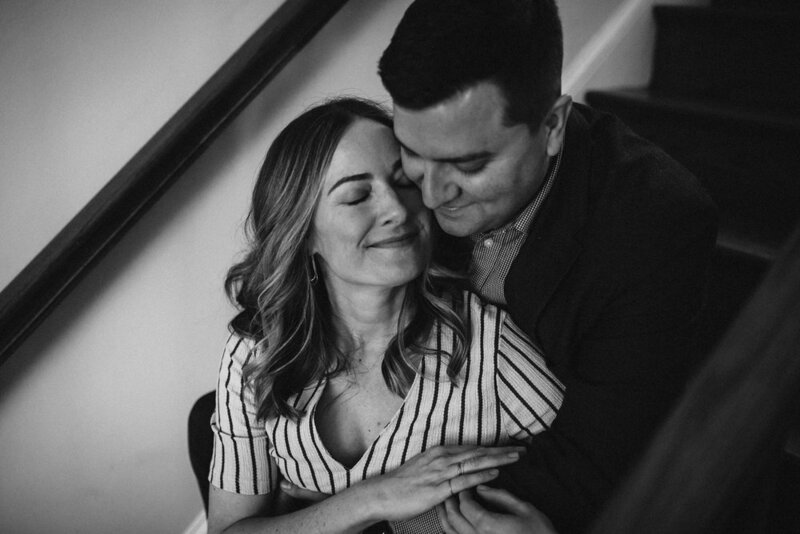 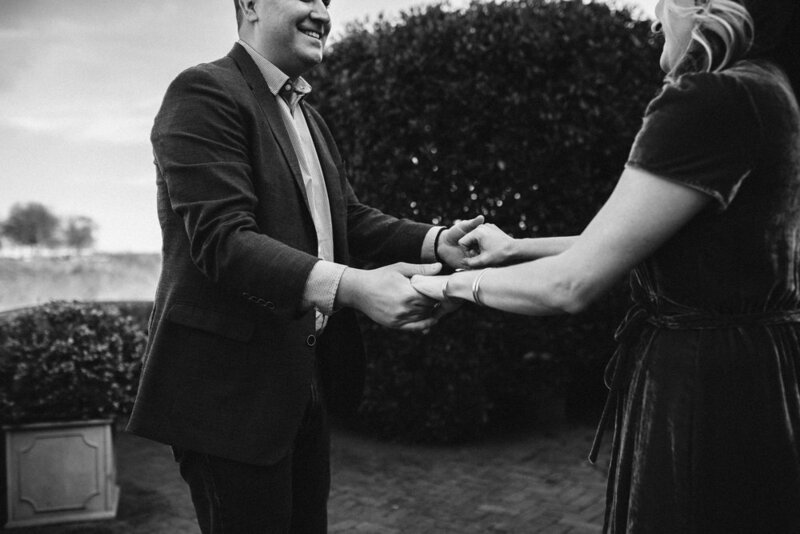 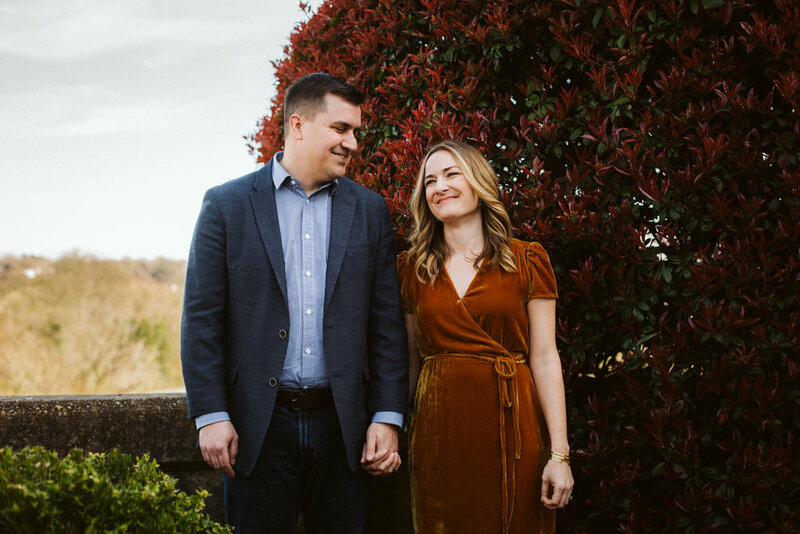 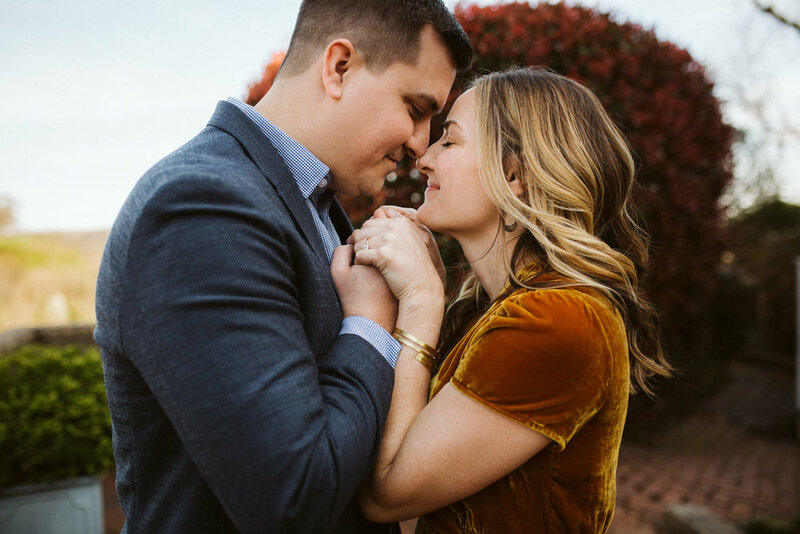 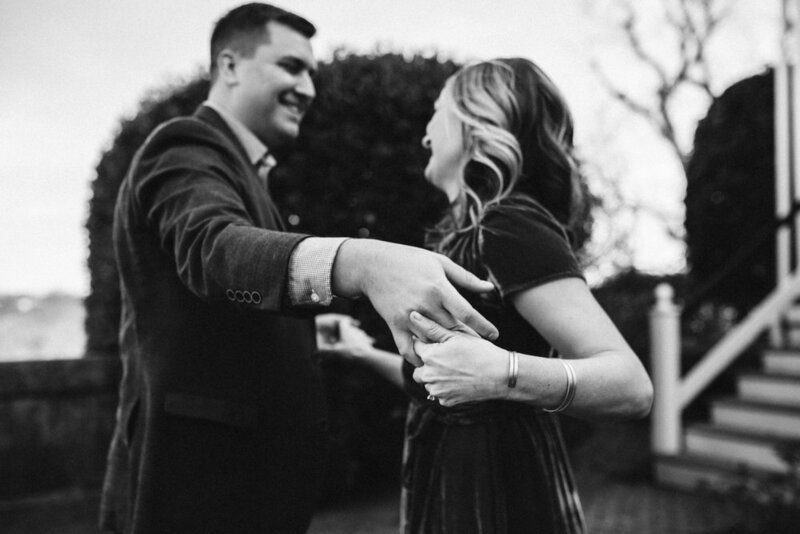 Kristin and Hunter will be exchanging vows this summer at the Lewis Ginter Botanical Garden and I couldn’t think of a more perfect place for them.